Wow, I absolutely love tortured heroes so this book sounds very intriguing! Please enter my name in the contest. But, truthfully, if I don’t win this book, it is going on my Wish List to be ordered when I have made a dent in my TBR Pile. Thanks for sharing, Kaki! Heartoftexasbooks – I can’t get enough of the tormented hero either. Thanks so much for commenting. I totally understand the unwieldy TBR pile. You must be a fellow reading addict? ❤ Hope my book finds a spot on your list! I'd love to hear from you again, and good luck in the drawing. Doesn’t it sound intriguing? Good luck in winning a copy. And thanks for coming by. Oh how I love a flawed or tortured hero. Redeem him??? Oh, must we? LOL I think it is in his attempt to do whatever he needs to do to win his lady love that redeems him. Sometimes it is easy and sometimes it takes the whole book, but he eventually suceeds so that we can have our happily ever after! Best wishes with your book. It sounds like a winner and one that I would love to win! Betty – Hello! I feel as though I already know you; thanks for the Twitter follow & Facebook like. I’m with you about redeeming a flawed hero – best if it doesn’t come too quickly or too easily. (Aren’t we terrible, tormenting our heroes.) For me as a reader, the hero can be oh-so-flawed, even horrible to everybody else as long as the heroine is his weak spot. There’s something lovely about watching a character change, trying to figure out what to do about being in love. Me too, Betty. And I agree with your insights about his redemption. This one sounds marvelous, doesn’t it? Good luck winning a copy and thanks for coming by. Betty – Hello! I feel as though I already know you; thanks for the Twitter follow & Facebook like. I’m with you about redemming a flawed hero – best if it doesn’t come too quickly or too easily. (Aren’t we terrible, tormenting our heroes.) For me as a reader, the hero can be oh-so-flawed, even horrible to everybody else as long as the heroine is his weak spot. There’s something lovely about watching a character change, trying to figure out what to do about being in love. Moriah, This sounds like an amazing story! I’m jealous I didn’t think of it. :o) But seriously, I’m glad Crimson was smart enough to pick it up. Best of luck to you! Hey, Kirsten Lynn, glad to see you again. Thanks for coming by. I’m jealous, too: Moriah is very courageous to take on such a bedeviled hero. I admire her so much for not backing down and for sticking with it until she found a home for her story. A great lesson in never giving up. (In this business, I think persistence is your biggest asset.) Good luck winning a copy. And with your own writing. 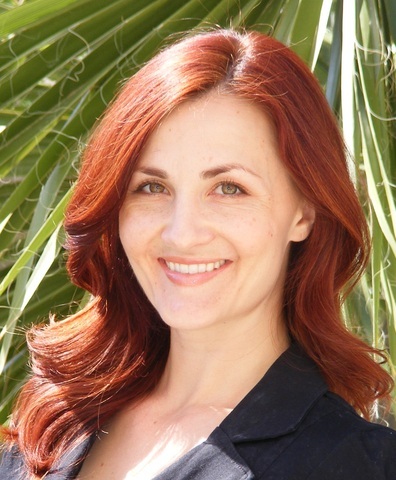 Kirsten Lynn – Thank you for the kind words. Pardon me a moment while I preen. I see you write western romance ❤ And I love your website. Fun! I appreciate your stopping by today. Lovely to meet you. I have NO IDEA why. Like you, I absolutely adore unusual characters, tortured and damaged characters, character’s exactly like Wilhelm and Sophia. I think ‘romance’ sometimes gets caught up in too many stereotypes and it is just fantastic when someone breaks out and does it this well. My favorite Laura Kinsale is Seize the Fire. Not your typical romance ending where everything is rainbows and unicorns. What makes it work? The emotional journey. The enduring love. Amazing. Thanks so much for Song for Sophia! I so agree, Irene. Unusual characters are few and far between, especially in this sub-genre. I think Moriah has a winner here. She definitely has something going, if her book is a GH Finalist (never made it, myself). Thanks so much for coming by and good luck winning a copy. I am SO with you on Seize the Fire! One of my all-time favorite books – and having read Song for Sophia I can say that Moriah’s books definitely remind me of the very best of Laura Kinsale. Best compliment EVER ❤ Thanks Kat! Tortured souls that have everything wrong with them make for interesting characters, so I’m happy to see yours prevailed in making it to publication! I love when characters aren’t typical…makes for a great read! Thanks for sharing the details of your path to publication, and congrats on the Golden Heart. I’d love to read your book. Thank you Christi, and thanks also for stopping by. Glad to hear you like unusual characters too. I have been so curious (okay, I’m biting my nails!) wondering what readers will think of the story. It never really felt like taking a risk until I saw the listing go up on Amazon. Weird, but that’s when it struck me that I was sticking my neck out. (hehe Too late now to back out!) Thanks for the well wishes. And good luck in the drawing. Hope you get to read it; I’ll be interested to hear what you think. Hi Christi, thanks for taking time away from your busy twins to drop by today. Hope your own writing is going well. (I expect to see you here on the virgins blog before long.) You’re right, atypical characters make a great read, and these sound fascinating, don’t they? Good luck in winning a copy. Hey – Christi, I have twins too! 5yo, girl/boy. Just finished kindergarten today, and the boy is tagging along at a girl party, and he doesn’t see why not. (This kid also plays ponies and wears tiaras on command. Early lesson learned: keep the female happy.) Tell me about your twins! This is a fantastic book. Wonderful read. So great to know more about the inspiration. Hey Kristine! Thanks for stopping by. So very flattered you liked the book! Everyone – Kristine is a fellow Crimson Romance author. She writes paranormal, if I remember correctly. Thanks for visiting, Kristine. It does sound wonderful, doesn’t it? I’m definitely putting it on my TBR pile. Love, love, love the idea of “social misfits” finding each other. So applicable today. Heroes and heroines do not have to be perfect for me to adore them, in fact I like them better for it. Amen to that, Julie. And this h/h really are a pair of [Victorian] geeks. I had a ball with that. Thanks for stopping by! Hi Julie. Thanks for visiting. Being somewhat of a social misfit, myself, I’m a little biased toward them, too. (Although I haven’t broken anything in a while). Good luck in winning a copy. First off — Kaki, I LOVE your blog!!! You have introduced me to so many fabulous authors and books that I would have never read and I thank you so much for that!!! This book sounds so good and got my interest right away. I loved flawed heroes–they are my favorite!!! Thanks for the chance to win!! Have a great rest of the week!! Mariann – I love Kaki’s blog too! Thanks for commenting, and good luck in the drawing. Hope you get to read my book 🙂 Would love to hear from you again. I appreciate the lovely words, Mariann. There are so many great “old” authors out there, it’s hard for us newbies to get noticed. So I’m delighted to be able to showcase a few “virgins” here. Thanks so much for giving their books a try. Hopefully you’ll win a copy of SONG FOR SOPHIA–it looks like a stellar read. Good luck! I love unusual characters. Your hero sounds like he’s right up my alley! Hiya Beth! I love following your tweets. Thanks so much for visiting. Did ya’ll hear? Beth also signed with Crimson Romance. We have a mutual affinity for Navy SEAL characters. Nuff said, right? NacÃ­ en Jerez en el aÃ±o 1945. A los 11 aÃ±os ya estaba trabajando en una papeleria de la calle Larga, &#tin0;822ta y papel” repartiendo periÃ³dicos. Me gustarÃ­a ver fotos de la calle de esos aÃ±os 50-60. Gracias. Like them difficult, do you, Beth? Or should I say, challenging? LOL. Glad you came by, Beth. And good luck. Moriah, I’m ridiculously excited to read your book! I love characters that don’t quite fit in the mold. Have you read Christine Feehan’s Water Bound? Her heroine is a “high functioning autistic.” Very interesting read. Another Crimson Romance author? Ya’ll are like Chickenman–you’re everywhere! (Too young to know what I’m talking about, aren’t you?) Oh well, thanks for coming by. And good luck. Confession: I just googled “Chickenman.” hehe “He’s everywhere! He’s everywhere!” As an Adam West fan, seems I should check out this vintage radio magnificence. uh, Sorry for using the word “vintage.” Pop music from my high school years are already on the oldies station though… Anyway, the authors at Crimson Romance are delightful, and very supportive, as you can see 🙂 I’ve made some genuine friends there. Don’t enter me in the giveaway – I’ve already bought my copy. I’m just here to fawn over two of my favorite authors and to highly recommend Moriah’s book to everyone who loves a sultry, lush romance! Sultry? Lush? Hmmm… Sounds like Louisiana bayou country. I’m itching already. But it’s better than “gritty” as my books were called. That always made me want to rub my eyes or brush my teeth. Great to have you come by, Kat. Really enjoyed your post about the neurological responses to love. I especially liked that the winner was older than me! And thanks for sending Moriah to the virgins blog. She’s a hoot. Just picturing that, Kristina, gives me a mild case of the heebie-jeebies. (Both scenarious). But you’re right…a flawed hero is fine–even fun–but It’s hard for me to get worked up over a guy whose neck is skinnier than my wrist. But then I am pretty shallow. Glad you came by, and I wish you well in winning a copy. The hard part is knowing that the story you have IS worth saving and fighting for it. BRAVO!! I can hardly wait to read more from you. Keep writing outside the box. Hey, mvfree, I’m so glad you came by with your own inspiring words. I’m a hardhead, too, and although it took me a long time to reach my goal, I take great satisfaction in knowing I stayed true to my vision and my story. And yes, I had my doubts along the way, but I think every writer knows inside if their story is worth fighting for. I’m glad Moriah fought for hers. It sounds like a wonderful read, doesn’t it? Good lucking winning a copy. Kaki – I totally get your saucy side. (Comes out in your characters.) Kudos to you for marching to the beat of your own drum. I loved her book! 😉 I just had to comment. And I am glad you stayed true to your vision–even though it is bloody hard at times. Aww, Thank you Moriah–you’re making me blush. 🙂 It’s the sort of book I look for–something that grabs me. And I found how you fought to write this in spite of the comments truly inspiring. Carpe Diem. I love misfits, too, and I think it was very brave of you to take on an autistic savant as a romantic hero…you definitely pulled it off. I adored Wilhelm. I agree, Ines. She’s a tiger. Thanks for coming by and supporting her. Sorry, 200 euro var det sÃ¥ den Ã¤r kanske pÃ¥ dyrare sidan. Men det borde finnas i dina trakter fÃ¶r en Ã¶verkomlig penning, tycker man. I love the flawed hero. They are my favorite hero. Lets face we all have some type of flaw and no one is really perfect so why would we want a perfect hero in a book. Quilt Lady! Well hello! My, you sure have good taste in blogs! Lovely to hear from you again. I agree with you 100% but I was surprised to find so many agents and editors who don’t like a hero who doesn’t always come off heroically. It’s heartening to hear from readers who dig the flawed character. Again I agree with you-when it’s done right, it feels real. Hi Quilt Lady. Great point. (Although my husband thinks he might be pretty perfect, or maybe even the smartest guy on the planet. We all have our fantasies, I guess.) Thanks for coming by. Good luck. I hope you prevailed, too, Erin. If you can’t tell your story the way you feel it needs to be told, then why go to all the trouble to write it? And if you get it written, why let someone else make changes to it just to make it fit the market? I think publishers often forget how smart readers are, and how much they/we appreciate “real” heroes. Thanks for coming by, and good luck with The Confession. I need to go look it up. For an ravenous reader like me, who admittedly doesn’t read formula romance much, the experience of reading Song for Sophia made me believe that the romance genre can accomodate really well written, more intrigueing material with deeply flawed characters who develop and change in creative and ingenious ! Her writing is wonderful, smooth, humorous, involving. 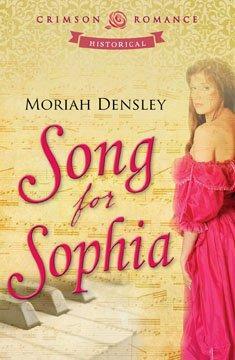 Song for Sophia is Not another stock historical romance. This is a five star read, without question. And I can’t proclaim loudly enough that this is the direction the romance genre must go to capture more intellectual and discriminating readers. . Believe it or not, readers, I didn’t pay her to say that 😉 Pam is just that sweet and generous. Pam’s heroine in the book I’m currently reading is an artist, so I bet you “get” the artsy side of characters in other books, Pam. And thanks again for the kind words. Wow, Pam! What a great response! And I totally agree. Moriah seems to have captured a lot of respect with her book, and I’m delighted to see more “intelligent” romances hit the market. Bravo for her as the writer, and you as the reader. Thanks so much for coming by and leaving your insightful comment. I like unconventional books because they make for more interesting reading. A flawed hero is redeemed when he meets the heroine and starts to change and become a better person. I agree, bn100. They’re much more interesting reading. And their redemption is that much sweeter. Thanks for sharing your thoughts. And good luck! Bn100 – I agree, watching the characters grow and change is what it’s all about. Thanks for commenting. Ever since climbing aboard the Crimson wagon, I’ve been watching your book. The cover art is lovely, and the Golden Heart finalist piqued my curiosity even more. Now that I know a bit more about your characters, I have to read it! Just waiting on a Kindle. Thank you, Becky. Hope that kindle finds its way into your hands, and that you have a ball with it! Wow, how many ga-zillion Crimson writers are there? I love how you’re all so supportive of each other. And thanks, Becky, for coming by and showing Moriah the love. Good luck! Flawed characters are the best, because we’re all flawed and our best relationships are with the imperfect person who is perfect for us. Think the flawed character is redeemed by our learning more about them, so that we empathize with them, not that they are fundamentally changed, our perspective is changed. Cannot wait to read this, congratulations on persevering with your characters and your dream! Love that sentiment, Larisa– finding “the imperfect person who is perfect for us,” and that the story should not so much change him, but rather our perception of him. Great insight! Thanks for sharing, and good luck winning a copy of this intriguing book.